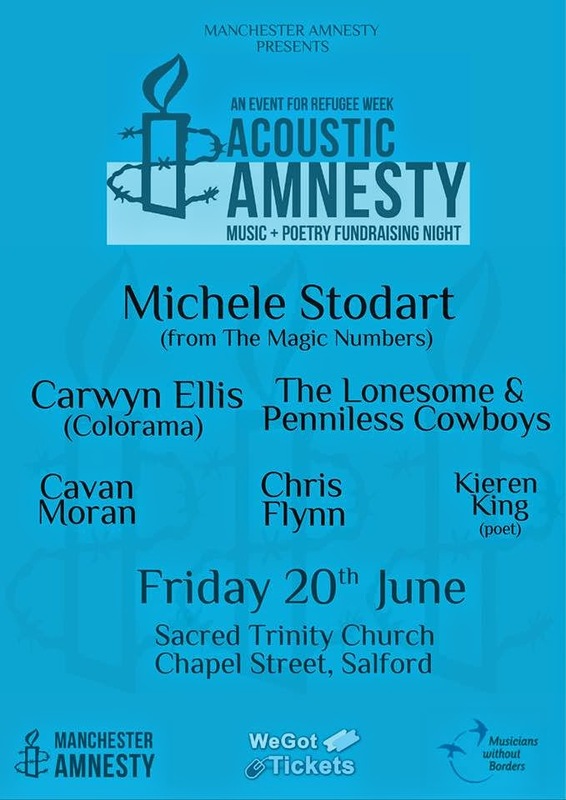 This Friday sees a Manchester Amnesty fundraiser featuring Michele Stodart from the Magic Numbers, Carwyn Ellis of Colorama, The Lonesome And Penniless Cowboys, Cavan Moran, Chris Flynn and poet Kieren King. The event takes place on Friday 20th June at Sacred Trinity Church on Chapel Street in Salford. Tickets are £8 in advance from wegottickets.